Svalbard is an archipelago of arctic islands belonging to Norway. This group of islands lies halfway between Norway and the North Pole and is home to less than 2,500 people. The larger of the islands are Spitsbergen, Nordaustlandet, and Edgeoya. The smaller islands are Barentsoya, Kvitoya, Prins Karls Forland, Kongsoya, Bjornoya, Svenskoya, and Wilhelmoya. There are also a number of tiny islets and skerries. Of all the islands, only three are inhabited: Spitsbergen, Hopen, and Bjornoya (or “Bear Island”). The people of Svalbard are comprised of mainly Norwegians. However, there are also Russians, Polish, and Ukrainians who live on the islands. The people survive on fishing, trapping, coal mining, and more and more on tourism in recent years. Much of the islands’ local services and infrastructure are run and provided for by the Norwegian state-owned coal company. There are also NASA, meteorological, and satellite and weather-related agencies in Svalbard. Politically, Svalbard is controlled and governed by Norway, but there are limitations to Norwegian sovereignty in the areas of taxation, military activity, and environmental conservation. The main attraction of Svalbard is its glacial scenery. The islands have numerous fjords, glaciers, ice bergs, mountains, and ice caves; the latter are found under the glaciers and can be toured thrillingly in the polar night. The wildlife is another major draw. 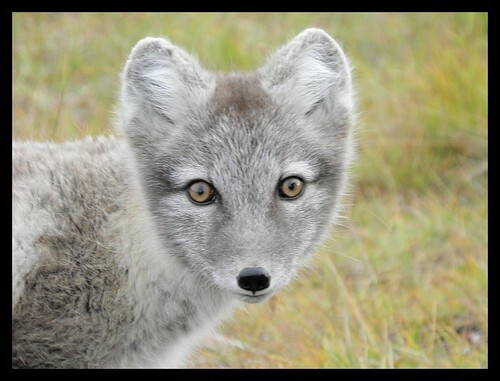 The archipelago is home to Svalbard reindeer, arctic foxes, polar bears, whales, walruses, dolphins, and pinniped seals. Svalbard also has the largest concentration of migratory seabirds in the North Atlantic. Bird species include Arctic Terns, Skuas, Black Guillemots, Fulmars, Black-legged Kittiwakes, Little Auks, Puffins, and rare Ivory Gulls. The only land bird seen year-round is the Svalbard Ptarmigan and the only two songbirds are the Wheatear and Snow Bunting. Surprisingly, Svalbard also has a diverse variety of plant life, which includes more than 164 vascular species. The colorful Moss campion, Svalbard poppy, and purple saxifrage are odd sights in such a cold land. In the winter, outdoor activities include skiing, dog-sledding, and snowmobiling. The summer offers the possibility of boating and cruising excursions, hiking, camping, mountain climbing, and kayaking. Another possibility is taking an organized fossil hunting tour. If you visit during the summer between April and August, you’ll be treated to the midnight sun thanks to Svalbard’s location in the Arctic Circle. Conversely, from October to February, the islands are subject to the polar night, a continuous darkness all day. Svalbard’s location in the Arctic Circle means that temperatures in the islands are undoubtedly cold. In the summers, the temperature averages around 6ºC (43º F) while in the winter, it can go as low as -14º C (7º F). However, the North Atlantic Current tempers the islands’ climate a bit, keeping waters open and navigable year-round. The western coast is warmer than the east because of the North Atlantic Drift. Vikings and Russians are believed to be the first discoverers of Svalbard in the early 12th century. Norse accounts speak of a legendary land in the north on the “cold edge”. The first confirmed discovery of Svalbard, however, was by Dutchman Willem Barents in 1596. The islands were used for commercial whaling during the 1600s and 1700s. Greenland whales were soon extirpated from the region. In the early 20th century, Norwegian, Russian, British, Swedish, and American companies began setting up coal mines on Svalbard. In 1920, the Svalbard Treaty recognized Norway’s sovereignty over the islands, but the other countries retained rights to their existing settlements and all nations agreed not to use the islands for military purposes.